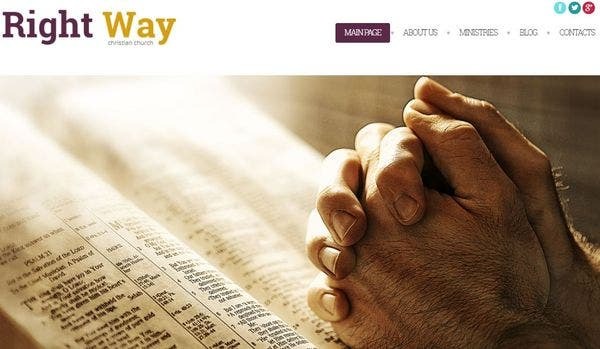 A church website is a means of communication to reach out to devotees and to convey messages with clarity and authenticity. Our WordPress themes will provide the best platform for featuring your church blog site, Bible passages, and sermons. They are flexible and a perfect way to reach those who can’t be present in your church. So, the wait is finally over. 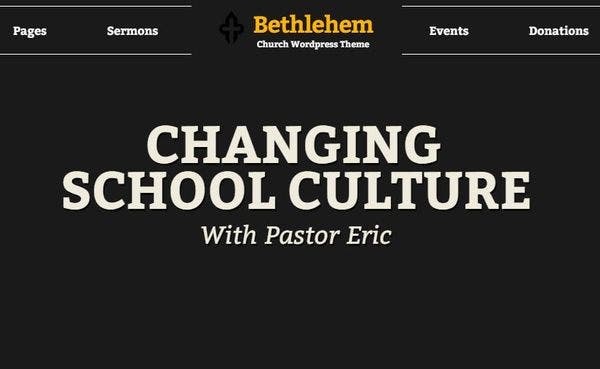 We bring to you 22 of our best WordPress themes for your church website. 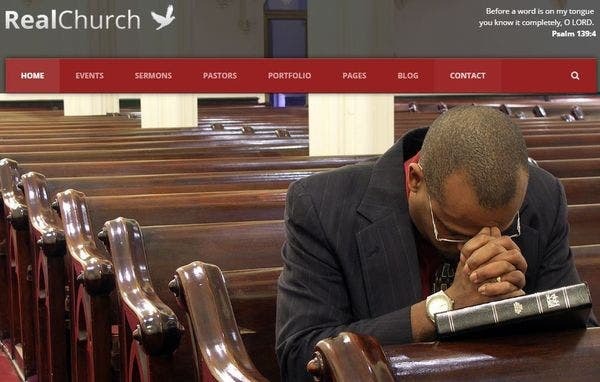 Church WordPress theme is specially built for churches and events. It is loaded with CSS animations with lightning fast loading. It has built-in Sermons plugins and over 30 customized page layouts. The font directory comprises of more than 600 Google fonts. It is supported by the SEO Yoast plugin and is 100% WPML compatible. 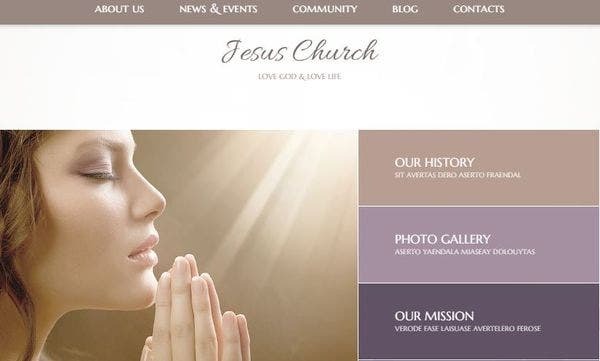 Jesus Church WordPress Theme is SEO optimized and is 100% responsive to your church website. The layouts come in soft color shades and all information is divided into multiple boxes that keep them well organized. 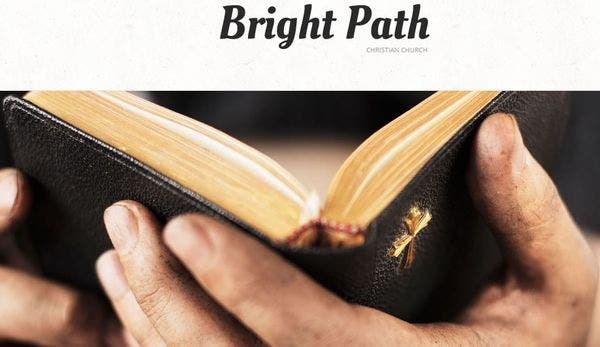 The Cherry Framework uses CSS3 and HTML5 technologies that help you to display all your latest news, publications and pastor messages in the crispest and clean manner. 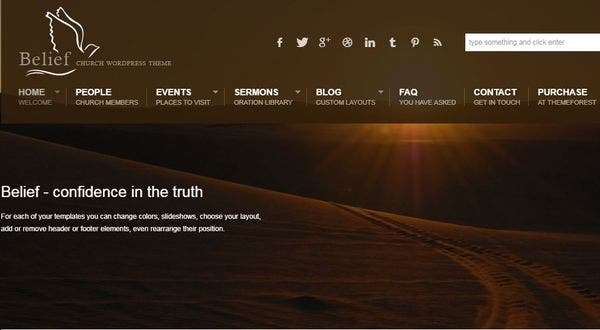 Real Church is one of the most popular church WordPress themes. It is ideal for your sermon posts, video and audio posts. Pastor posts which will feature videos and audios of Pastor messages. The posts are time stamped which helps you to manage them in a better way. The Retina-ready feature helps the layout to customize easily according to your screen space. HolyCross church WordPress theme is one of the most popular website themes and is supported by top authors. 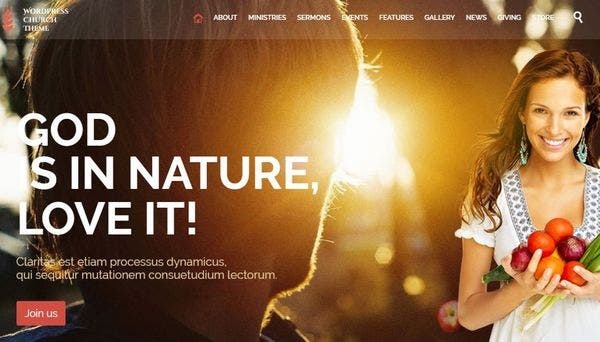 It is highly functional and responsive and comes with 3 unique homepage designs. You can easily customize the pages with the Drag-Drop page builder feature based on Visual Composer. 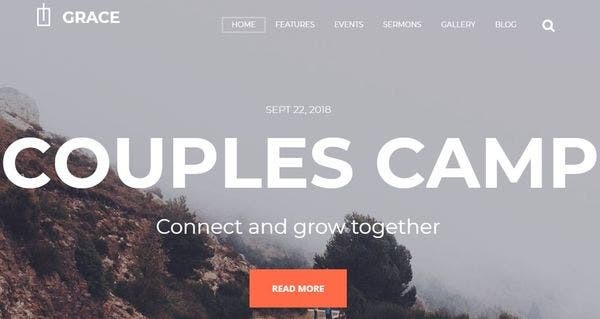 BrotherlyLove is a modern church WordPress theme supported by Elementor that is a drag-and-drop page builder that requires no coding. The pages are lightweight and load up really fast. The interface is simple and easy to use and comes with a number of header and footer layouts. Nazereth comes with a beautiful events calendar that will highlight all your important church events and programs themes. The Give Donations Plugin will help you raise funds for charitable events. The installation is really fast and is stocked with intuitive layouts and multiple plugins like Contact Form 7, slider revolution and Elementor. 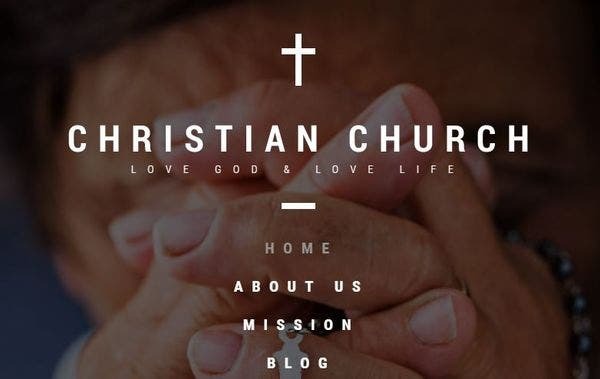 Christian Church is a fully editable WordPress theme and is 100% responsive. It is multilingual with hosts of languages and WPML compatible. It has more than 80 shortcodes and with built-in custom widgets for social sharing. The themes can be customized with Parallax effect and Lazy Load effect. New Life WordPress theme provides you one-click installation templates for your websites. The grid gallery provides easy navigation, the fully responsive pages are SEO friendly and allows maximum visitors to your website. This theme has swiper and revolution sloder can be modified easily without any coding language whatsoever. 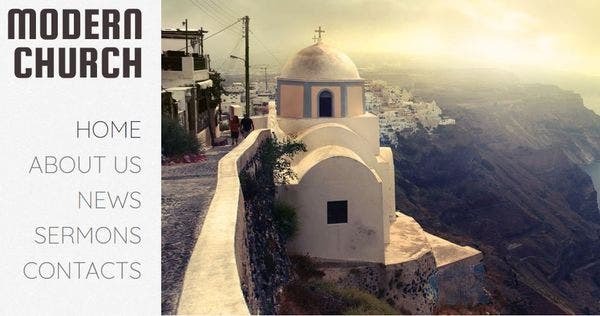 Christian is a multilingual WordPress theme which requires 2-step installation process and your website is ready to launch. It has more than 600 Google fonts and multicolor options. The portfolio themes are structured to boost your product sales. The SEO-friendly templates score high in search engines. 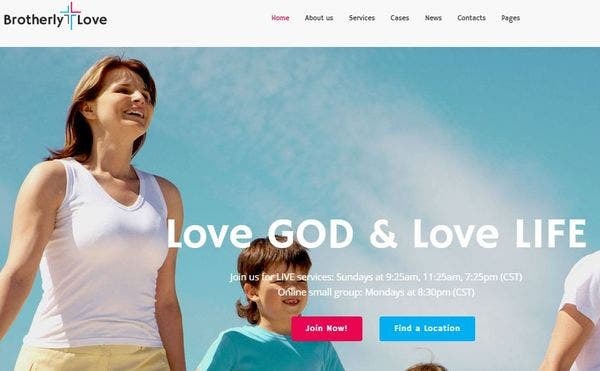 Dunamis is the perfect church WordPress theme for your modern church and religious setup. The design is set up with Grill theme that makes it compatible with all devices and thus a unique experience for viewers. The Pagebuilder feature consists of drag & drop menu, custom frontpage composer and donations manager. Church Web Presence is WPML compatible and supports multiple languages. It has more than 80 shortcodes and advanced backup feature. The animation graphics give a more effective and trendier look to the website pages. It is supported by Bootstrap which is an open-source design for webpage app design. 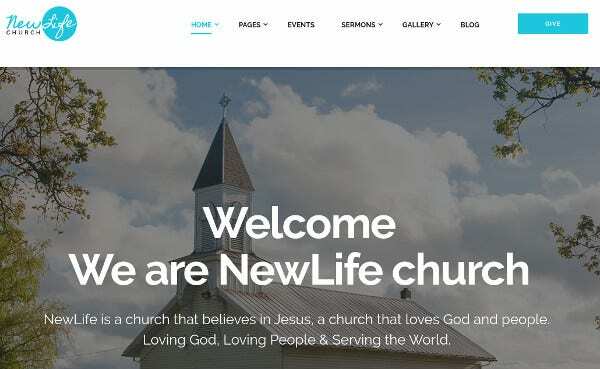 Our Church WordPress theme is based on the latest Bootstrap Framework 3.2.0 and works in all mobile devices, desktop, and tablets. The WooCommerce plugin lets you sell your products online. It is SEO optimized with Revolution slider with dozens of free demos for your website. 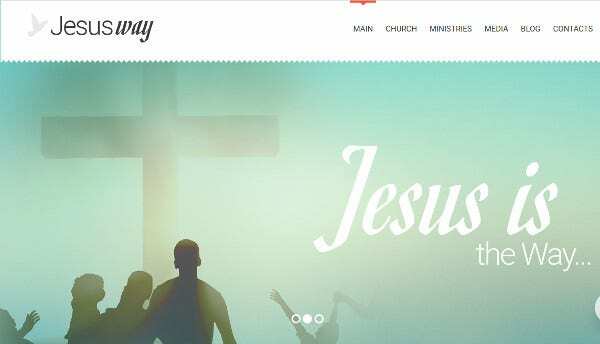 Jesusway is fully editable and 100% responsive church WordPress theme. It provides custom posts format and fantastic sliders to share your images on the website page. The Built-in Theme Customizer helps you to manage your website themes according to your needs. 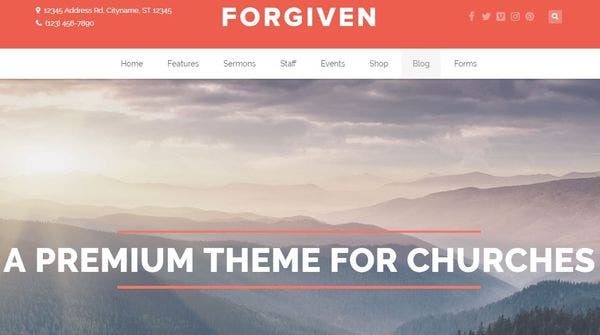 Forgiven is a responsive WordPress theme that comes with premium plugins like Visual Composer, Envira Gallery, and Soliliquy Slider absolutely free. It supports church theme content absolutely ready for your church sermons and events. The page customizer has shown and hide options for your items and supports Events Calendar for all your important church events. 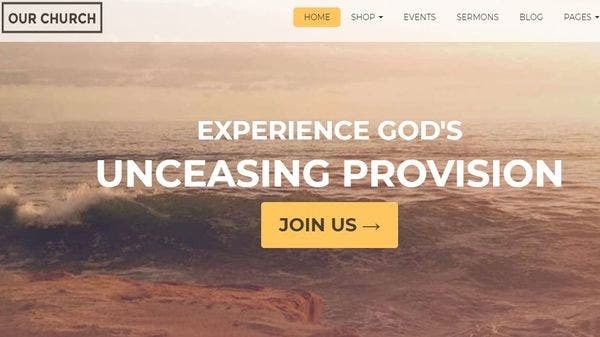 Salvation is a beautifully designed WordPress theme for your religious groups, churches, and charitable programs. The PayPal widget helps in fundraising and donation purposes. The media player feature helps you to do audio posts and audio clips. 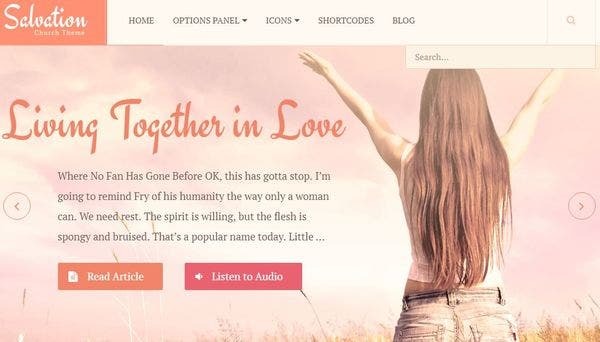 Religious is a church WordPress theme that comes with a 2-step installation process which is super easy and hassle-free. It has customized topography with over 600 Google fonts, a filterable portfolio, and fantastic sliders. It has open source bootstrap framework for your webpage design and app design. 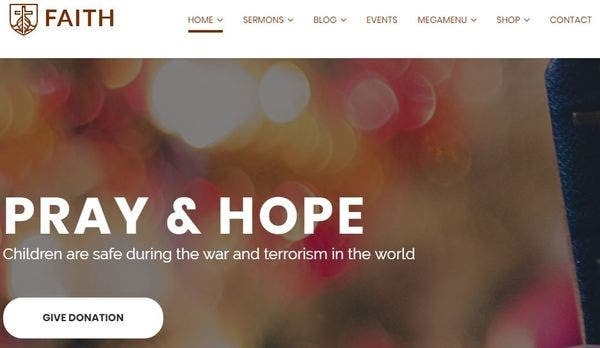 Bethlehem is a church WordPress theme designed for charity, NGOs, mosques, and prayer groups. It has three demos and video tutorial for quick and easy installation. It has multiple plugins like Slider Revolution, PSD Design and Visual Composer. The layouts can be highly customized and come with 8 header styles. 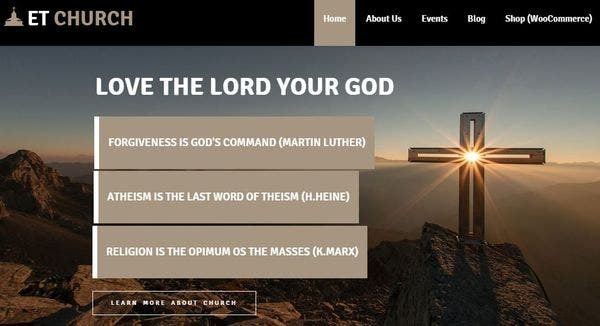 Life Churches WordPress theme will help you design the best website for your traditional church theme. The auditory and video sermons are helpful to reach out to a wider audience. It is integrated with WooCommerce platform to sell products and collect funds for charitable works. 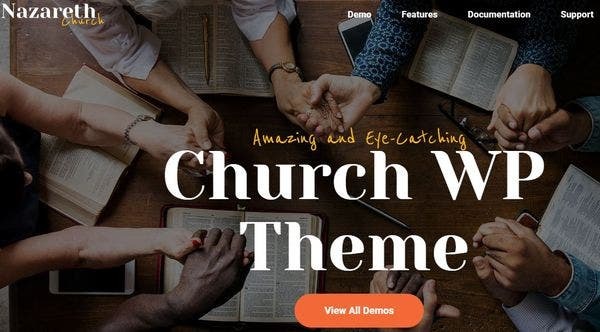 ET Church built on the Genesis framework is a powerful WordPress theme for churches and religious organizations. The Genesis framework provides a wide range of functional features and designs. There are 4 color layouts. It is based on bootstrap and CSS that makes it optimal for all desktop, Android phones, and tablets. Grace WordPress theme has Events Calendar to showcase the important events of your church, Sunday school, gospel, news, and blogs. It is integrated with WPBakery and WooCommerce integrated the perfect online shop for your products. The ThemeREX Donations plugin makes the fundraising process fast and easy. 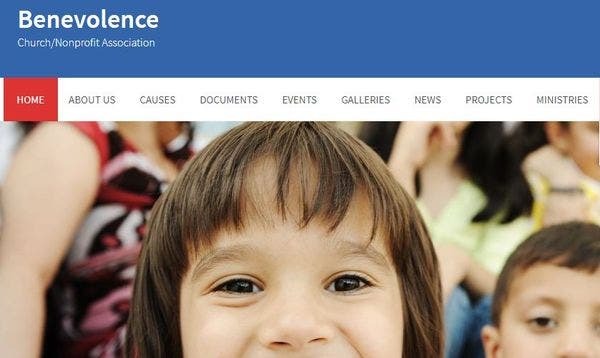 Benevolence is a fully functional church WordPress theme for NGOs, churches and religious organizations. The responsive layout automatically adjusts to all screen shapes and sizes and looks great in your desktops, tablets, and mobile phones. The automatic donation features help in hassle-free fundraising and it is supported by PayPal. Belief is a premium WordPress theme with drag and drops template builder with easy testimonials, widgets, tags, and banners. There are multiple options of blog layouts like grid views, thumbnail view, timeline or list view. Belief is very responsive and works well with all iOS, Android and tablets. The church WordPress themes are easy to use even for a beginner and do not require any knowledge about coding. They can be easily installed and comes in attractive layouts and colors. The designs are perfect for promoting your church prayers, events, and blogs. All the features are specifically designed to cater to your church requirements. 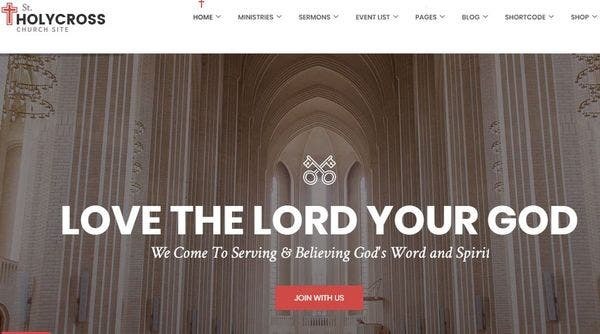 So, grab onto the best WordPress theme for your church website.